This was the pronouncement of the Skyway O&M Corp. (SOMCO) in a meeting with Muntinlupa Rep. Ruffy Biazon last Jan. 18. In a statement on his Facebook Page, Biazon recounted what happened during their meeting in his office. He said he invited the Skyway operators and a representative from the Toll Regulatory Board for a dialogue on the said issue. 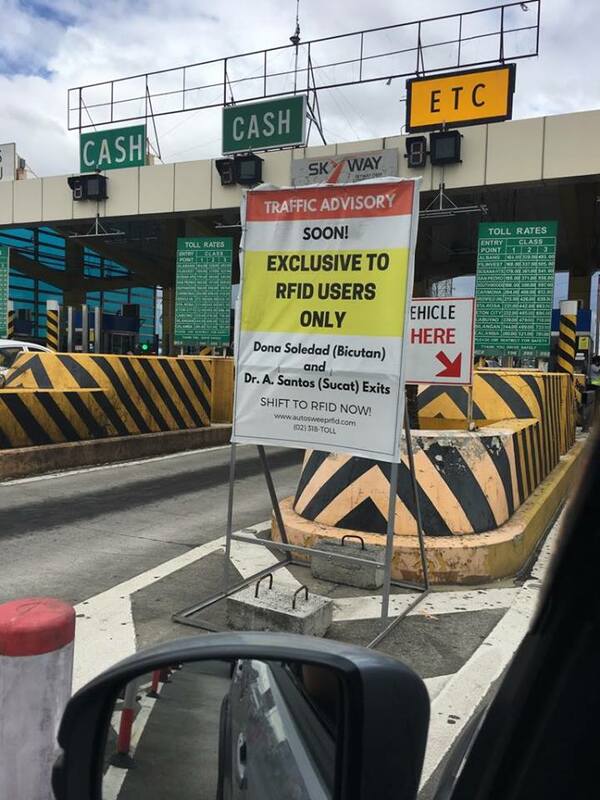 It can be recalled that Skyway SOMCO put up signs in their toll booths saying their Sucat and Bicutan exits will be exclusive to RFID users “soon”. This raised an uproar among many motorists and caught the attention of the Muntinlupa representative who then called on the attention of the Skyway operators. 1. There was no consultation done by SOMCO with affected stakeholders. 2. There should be a study on the proposed scheme’s impact on the flow of traffic in the alternate routes that non-RFID users will be taking. 3. The plan is arbitrary and is a denial of service to a certain portion of the public, making it discriminatory. The mentioned scheme was then discontinued after deliberations in Congress. 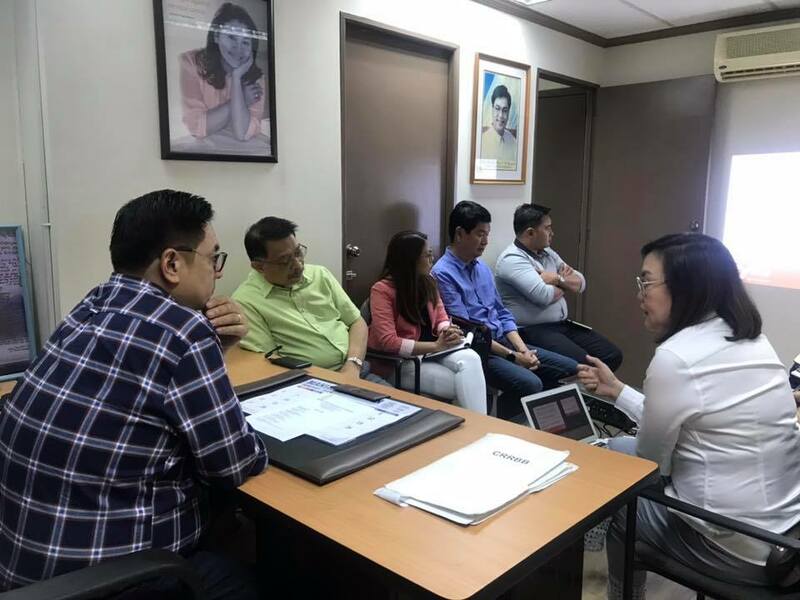 “Our meeting was quite intense with the SOMCO officials and myself engaged in passionate discussion,” said Biazon, adding that there were times he could not contain his frustration with what Skyway is doing to their customers. 1. Skyway management does not have a traffic impact study on how the scheme will affect the alternate routes. 2. They installed the signs even though there is no TRB approval of the scheme yet. It turns out they did it to compel users to get RFID. 3. They do not have any plan to put down the signages announcing the scheme to be implemented “soon” even though there is no TRB approval. 4. They have not conducted any consultations with stakeholders but claim that the signages were part of a sensitivity analysis. When I asked them what the results of the sensitivity analysis, they admitted that people are agitated and unhappy. 5. SOMCO maintains its position that non-RFID users will not be allowed to use the Sucat and Bicutan exit once the scheme is implemented (if it will be approved by TRB). They said non-RFID vehicles may use the at-grade level or the service roads. 6. I raised the point of denying motorists the option of paying cash while using the Skyway, but they maintain their position that they will push through with the plan. We will have to get TRB to deny it if SOMCO doesn’t change its plan. “I intend to pursue this issue in the interest of the general public. I believe that with the franchise given to SOMCO by the government, there should be equal access by all motorists,” expressed the congressman. He added that any future schemes should always have the interests of their customers in mind. 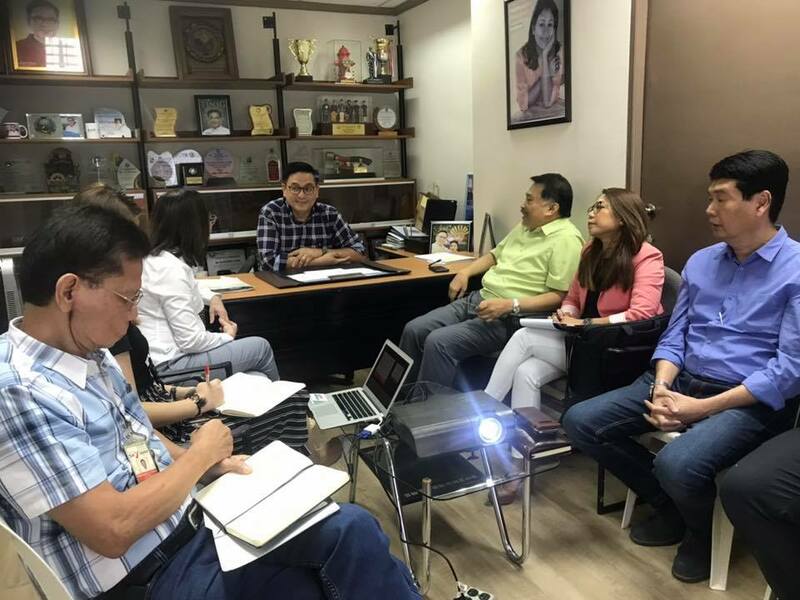 He also intimated to Alabang Bulletin that the Metro Manila Development Committee in the House of Representatives will be conducting a hearing on Jan. 30. Hopefully, something good will come out of the hearing and ultimately something good comes out for all those using Skyway. Biazon said he will provide updates accordingly. Giving a nice discount to RFID users, albeit temporarily, should make RFID attractive. You will probably achieve the same result. That is, if the authorities will allow this scheme. If ganito lang din pala tanggalan ng business to operate itong nasa tollway. The filipino owns the country not these small time business. Lagyan nyo ng addtional tulay dyan hindi rfid solusyon dyan isang kalokohan ok sana yan if lahat nka rfid na. Paano if lahat rfid na ganun din kinalabasan traffic p rin solusyon nto short term mga gunggong utak ipis.